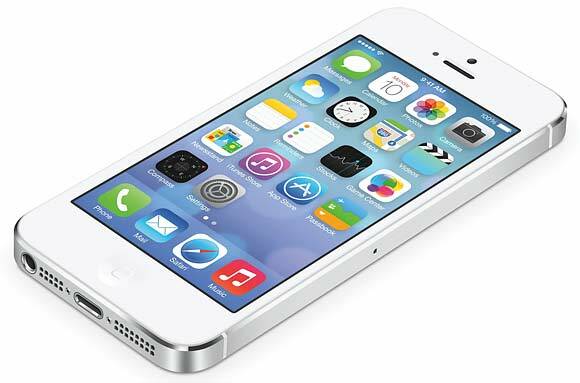 iOS 7, the latest iteration of the iPhone’s operating system, has been available in beta for developers for a number of weeks now, allowing applications to be updated to meet the system’s new requirements and take advantage of the improvements it offers. Signature Digital has been working with the new iOS, and we wanted to tell you about some of the new features, and what you can expect from them. Currently the iPhone’s lock screen requires users to slide a bar from left to right in order to access their keypad. With iOS 7, users simply slide from left to right anywhere on the lock screen, and the keypad will appear, ready for users to type in their passcode. The new home screen design is flatter and more stylish, in keeping with Apple’s reputation for absolute quality in their products. The background wallpaper reacts dynamically to the user’s movements, meaning shapes move around the screen, shadows change in accordance with the movement, and icons gently shift to give the user the best perspective for however they’re holding the phone. Some predicted this function to have an adverse effect on battery life, but we’ve not noticed any difference while using the beta version. Folders have been upgraded to accommodate any number of apps, as opposed to the previous limit of twelve, and accessing the apps you have running in the background is a lot easier as well. Now, a double-press of the home button not only brings up the icons of the apps currently running in the bottom of the screen, but also displays thumbnails for each directly above. Switching quickly between apps has been made easier as a result, and should help users to monitor the number of apps they have running at any given time more effectively. Quick access to clock, calculator, and camera. Currently Control Centre can’t be customized, but the features already built-in make day to day usage much more convenient. The Notifications Centre has been given a huge makeover, giving users a better way to keep on top of everything they’re doing. Alerts are now categorized to give users a list from today, a list of missed notifications, and the classic list of all notifications. Alerts from apps such as Calendar, which are likely to be more important than those from Plants vs Zombies 2, take prominence in the Notification Centre, taking up the whole screen to ensure the user doesn’t miss them. The iPhone camera now offers a range of effects for both videos and photos, instead of just the tiny switch between the two. The shutter button is larger and therefore easier to use, and after applying effects to a photo it can be organized by time and location using Apple’s geo-tagging, though only with permission from the user. We’ve also noticed that the shutter speed is significantly improved with iOS7 on the iPhones and iPads we’ve been testing with. As I mentioned before, iOS 7 realises that Calendar appointments are important to the user, so the app has been overhauled to work more conveniently for them. Appointments made for the same time will now overlap, making it more obvious when you’ve double-booked yourself, and if you’ve got a particularly busy day, it’ll show up as a red circle on the new, minimalistic month by month design. A great new addition to Calendar is its ability to track time and distance in relation to appointments. Calendar will alert you of an appointment with time to spare for you to get there, if you’ve put in the location of the appointment and the time of the meeting that is. AirDrop is a little feature that allows people to share photos from within apps without having to physically bump their phones. A number of basic apps currently use the feature, though more are expected to integrate with AirDrop to improve social networking abilities. Other new additions from iOS 7 include a car interface, which gives users larger buttons, as well as compatibility with Siri, giving drivers great usability on their iPhone without it distracting them too much from driving. A new accessibility control allows iPhone users to interact with their iPhone using their head. Head movements can be set to a number of actions, including loading notifications, opening the App Switcher, or taking you to the home screen. A number of new features and tweaks have been made for businesses on iOS 7. Many of the features help people differentiate between their business and personal documents, though there are others that make life easier for developers pushing out new versions of apps. A “frequent locations” feature has been included in Maps, allowing users to see where they frequently go, and get routes and directions should they need them, though this again requires user permission. Is there more to come? All of these features have been confirmed and are being fine-tuned for the public release, but there are some features that could still be announced before. One rumored feature is the use of a fingerprint scanner. 9to5Mac spoke to developer that apparently found code lines referencing a biometric system, could this be a new feature for the next iPhone? Signature Digital is a trading name of Rowleys IT Services Ltd. © 2019. Co. Reg. No. 6576052. VAT No. 935 0680 23. Registered in the UK.